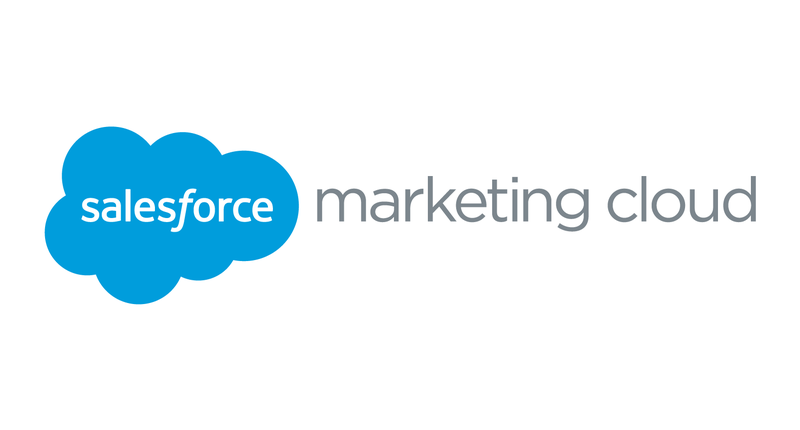 It’s almost time for the next Salesforce Marketing Cloud Release. The upcoming release will go live on 27 January 2017. You can sign up here for the webinar which will be held on 9/2/2017, 06:00:00 AEDT. 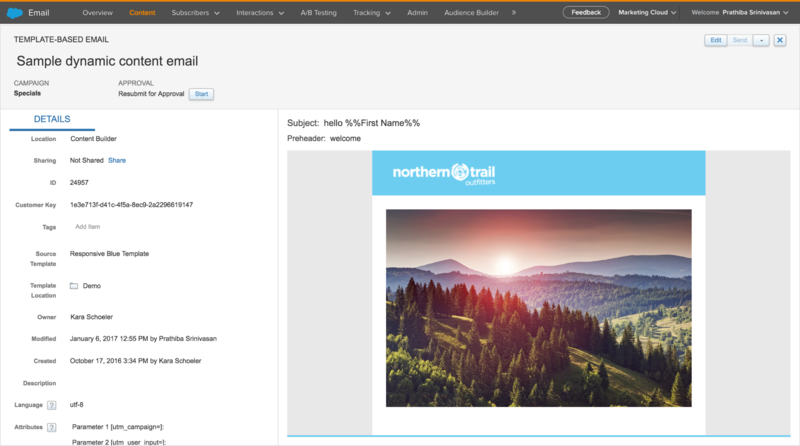 When you build emails with dynamic content, the Impression Region Tracking Name appears under each rule. 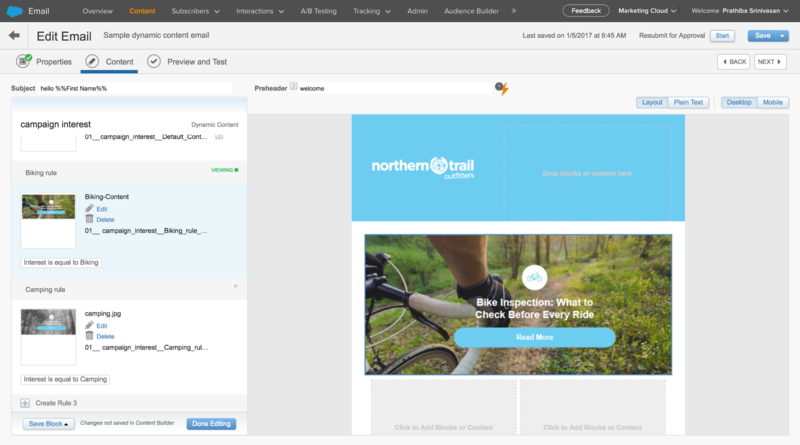 This setting lets you track the performance of dynamic content blocks, rules, and content either in the current email or throughout different emails by leveraging Impression Region Tracking Reports, found in the Reports application. 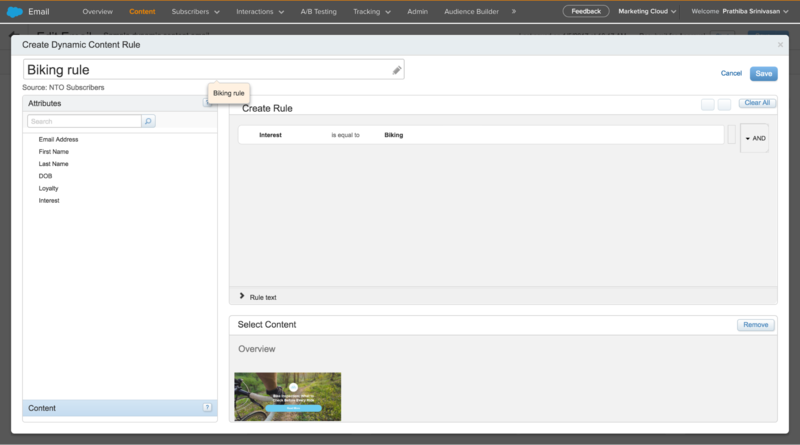 Customise the rule name in dynamic content blocks in the email creation flow. Edit the rule name to instantly update the name in the Impression Region Tracking Name and gain a clear understanding of your rules. BOOM! 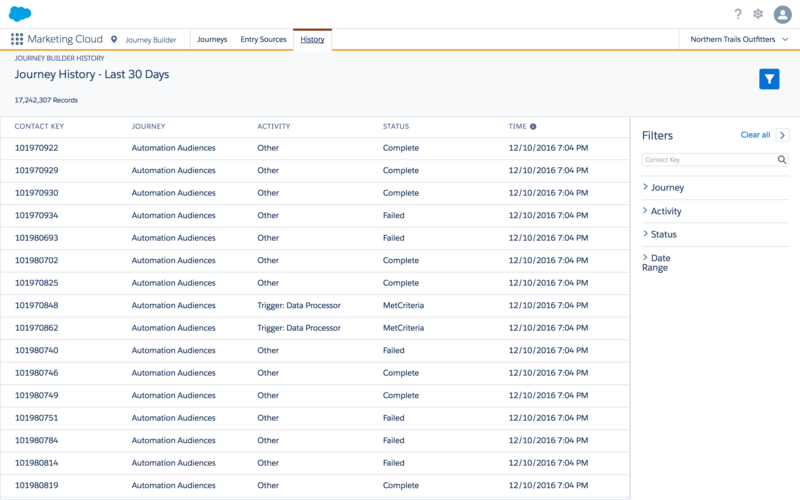 Lightning experience will be rolled out to Automation Studio in this release. 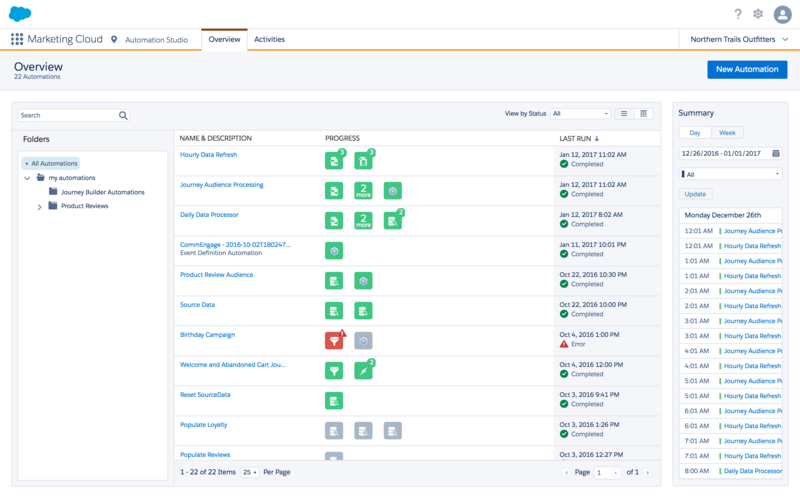 A new modern design brings alignment with the other Salesforce Clouds and Marketing Cloud applications. Users will notice improved performance and overall usability. You will now receive email notifications to alert you when a scheduled run of an automation is skipped, usually because a prior run is still processing. The email provides the name of the automation as well as the scheduled start time of the skipped run. This release replaces the Journey Builder Contacts tab in the main Journey Builder navigation bar with a Journey Builder History tab. The new History tab gives you a running status of all of your journeys. Confirm that your journey is functioning as expected or review information about issues that may occur. To view the full product release notes go here.